The timing of the annual Consumer Electronics Show (CES) is curious. No sooner has the world of technology finished its well-deserved Christmas break, it is forced to recover from its seasonal excesses to reconvene in Las Vegas. 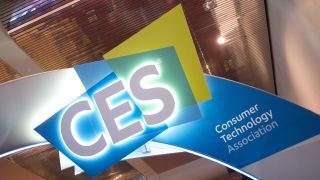 As ever, CES will showcase many of the products that will infiltrate our homes, vehicles and beyond during the following 12 months, helping to provide an insight into what the major tech trends of 2019. Despite many major announcements and launches taking place a few months later at Mobile World Congress (MWC) in Barcelona, there’s usually plenty at CES for the mobile industry to sink its teeth into. This year, that’s truer than ever because one topic is likely to outshine all others: 5G. The first 5G networks went live in the US late last year, but these are so far limited in scope. Verizon was the first, but its 5G service only offers Fixed Wireless Access (FWA) broadband in a number of major US cities. On December 21, AT&T was the second carrier to go live, offering mobile hotspot services in parts of 12 US cities in what seemed to be a last-ditch attempt to honour its pledge to launch in 2018. This year will see the arrival of the first compatible 5G smartphones and the launch of fully-fledged 5G mobile networks in the US and beyond. At CES 2019, expect to see Verizon and others talk up the potential of 5G networks, while device and component manufacturers share more information about their wares. But given CES is predominantly a show about consumer electronics, it is probable that many of the smartphone announcements will be saved for MWC. Instead, the focus at CES is likely to be on 5G applications on other devices. Although 5G will enable ultrafast mobile speeds of up to 1Gbps, the fact is that 4G is suitable for most people’s needs and that foundational work will actually improve LTE services. It will take several years for the mobile applications that require 5G networks to function to appear. In the short term, it will be enterprise services and applications on devices other than smartphones that will benefit from the capacity and reliability improvements afforded by 5G. At CES, this is where the real 5G innovations will be found. One of the other key trends will be smart home technologies, so expect to hear about how 5G will impact this fast-developing field, while thee is a whole exhibition devoted to how 5G will impact smart cities. Expect to hear about how 5G will change the entertainment and automotive industries, as well as other equally transformative technologies like Artificial Intelligence (AI), Virtual Reality (VR) and Augmented Reality (VR), all of which will require the low latency that 5G offers. Component manufacturers like Qualcomm and Intel have already detailed how they plan to support 5G devices and applications, but both will have a significant presence at CES. That’s not to say we won’t see a couple of 5G smartphones too. There is huge incentive for fast-mover advantage among both operators and manufacturers and it may be an opportunity to stand out from the crowd ahead of MWC. Samsung and Sony could be among those to watch. Bu above all, CES will be a chance for the mobile industry to explain why 5G is so significant. Explanations of what 5G is and what it will become have been subject to dispute and hyperbole and in an industry that finds it difficult to convey the benefits of a generational shift other than in terms of speed, this is critical. 5G is more than a marketing term and it’s more than simply faster smartphones. It represents a shift in how all individuals and industries, not just technology, experience connectivity. And its why 5G will be one of, if not the, key talking point of CES 2019.